Please note: Rates currently available until 3/29/2020. Click here for more information. Rates are not yet finalized. We try our best to have rates available at least six months in advance. If rates are unavailable online, please contact our Reservations Team at 1-800-WOODLOCH (966-3562) option #1 and we will try our best to accommodate you. Accommodations may not yet be available for reservations. In an attempt to provide our guests with the feeling of returning home each year, they are given the opportunity to reserve their same accommodations for the corresponding dates of the following year before availability is released to the public. If you would like to see about making a booking in advance, please contact our Reservations Team at 1-800-WOODLOCH (966-3562) option #1 and we will try our best to accommodate you. If the dates you desire are unavailable for selection, this is due to a time when the resort is closed for operation. 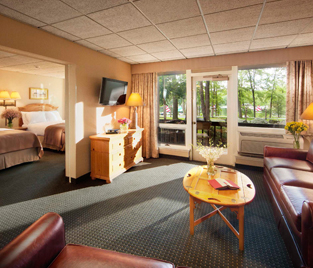 If you have any questions, please do not hesitate to contact us at 1-800-WOODLOCH (966-3562) option #1. The Pines American Plan 2 Meal Plan is Woodloch’s famous all-inclusive plan, comparable to a “Cruise on Land”. 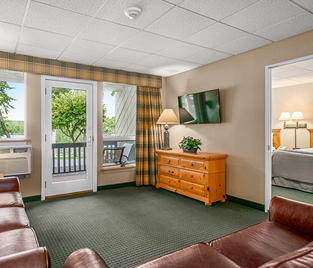 Your plan features an unlimited dinner and breakfast per night's stay, spacious and immaculate accommodations located at Woodloch Pines, endless activities, astounding nightly entertainment, and daily housekeeping. Rates are per person and vary based on number of occupants and accommodation type. The Pines American Plan 3 Meal Plan is Woodloch’s famous all-inclusive plan, comparable to a “Cruise on Land”. 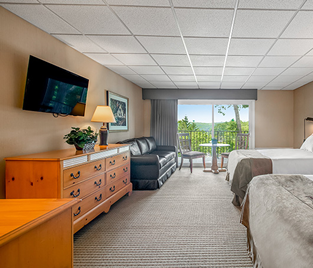 Your plan features an unlimited lunch, dinner, and breakfast per night's stay, spacious and immaculate accommodations located at Woodloch Pines, endless activities, astounding nightly entertainment, and daily housekeeping. Rates are per person and vary based on number of occupants and accommodation type. Available for a limited time and featuring a considerable savings, the Flex Special 2 Meal Plan features an unlimited dinner and breakfast per night's stay, and includes endless activities, astounding nightly entertainment, and daily housekeeping. Your accommodation is based on a Flexible Room Assignment, assigned at check-in, and will be large enough to accommodate your party (up to six maximum). 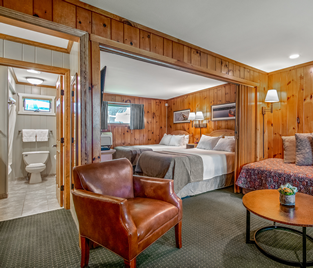 Potential room assignment will include any Classic Standard, Deluxe Lakeview, or Edgewater One Bedroom Suite accommodations located at Woodloch Pines. Excludes any Guest Home accommodations. Available for a limited time and featuring a considerable savings, the Flex Special 3 Meal Plan features an unlimited lunch, dinner, and breakfast per night's stay, and includes endless activities, astounding nightly entertainment, and daily housekeeping. Your accommodation is based on a Flexible Room Assignment, assigned at check-in, and will be large enough to accommodate your party (up to six maximum). 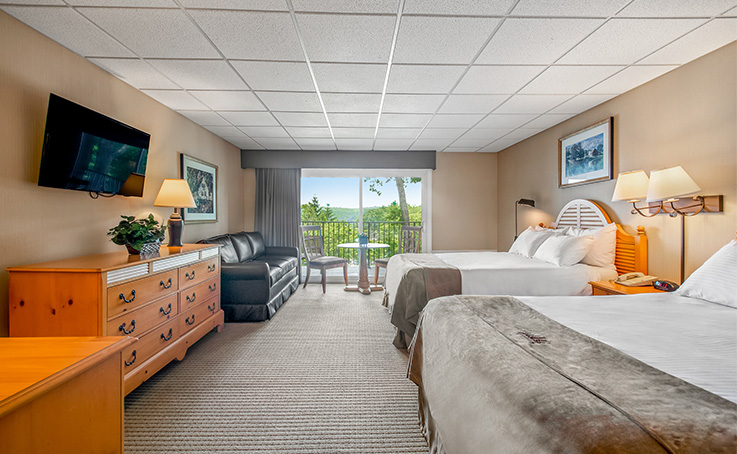 Potential room assignment will include any Classic Standard, Deluxe Lakeview, or Edgewater One Bedroom Suite accommodations located at Woodloch Pines. Excludes any Guest Home accommodations. 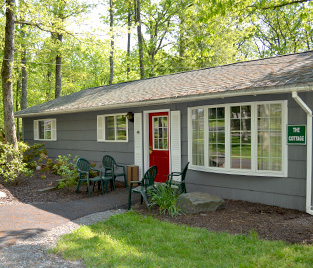 Available at Woodloch Springs, our Non-Traditional Plan includes the activities and entertainment of Woodloch Pines while in the comfort of a beautiful vacation home. Meals and daily housekeeping are not included, but can be purchased à la carte. 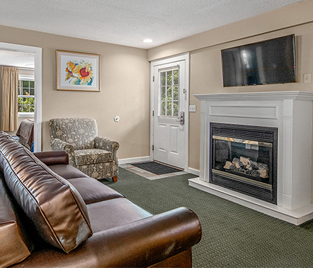 All homes come fully furnished with a gas fire place, full kitchen, and linens. Non-Traditional Plans require a two-night minimum with the exception of holidays where more nights may be required. Please note: Woodloch Springs is located approximately two miles away from Woodloch Pines, and will require use of your own vehicle to travel between properties. 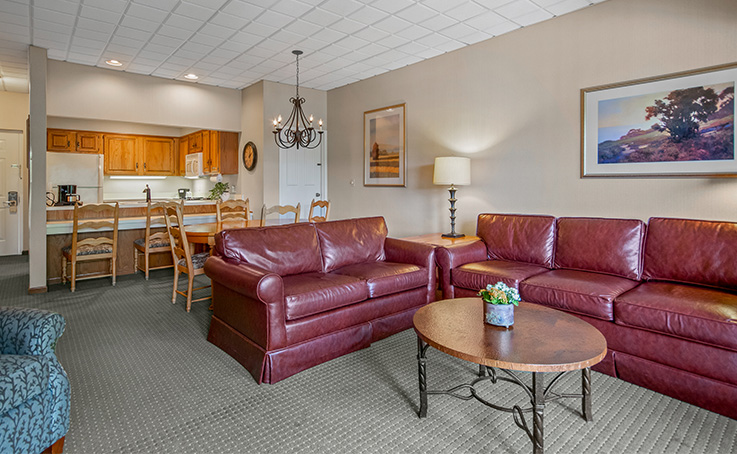 The Springs American 2 Meal Plan features an unlimited dinner and breakfast per night's stay, spacious and immaculate accommodations located at Woodloch Springs, endless activities, astounding nightly entertainment, and daily housekeeping. Rates are per person and vary on number of occupants and accommodation type. Please note: Woodloch Springs is located approximately two miles away from Woodloch Pines, and will require use of your own vehicle to travel between properties. Available for a limited time and featuring a considerable savings, the Springs American 2 Meal Plan Special features an unlimited dinner and breakfast per night's stay, spacious and immaculate accommodations located at Woodloch Springs, endless activities, astounding nightly entertainment, and daily housekeeping. 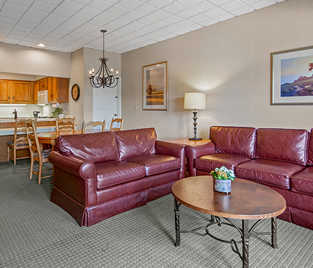 Rates are per person and vary on number of occupants and accommodation type. Please note: Woodloch Springs is located approximately two miles away from Woodloch Pines, and will require use of your own vehicle to travel between properties. 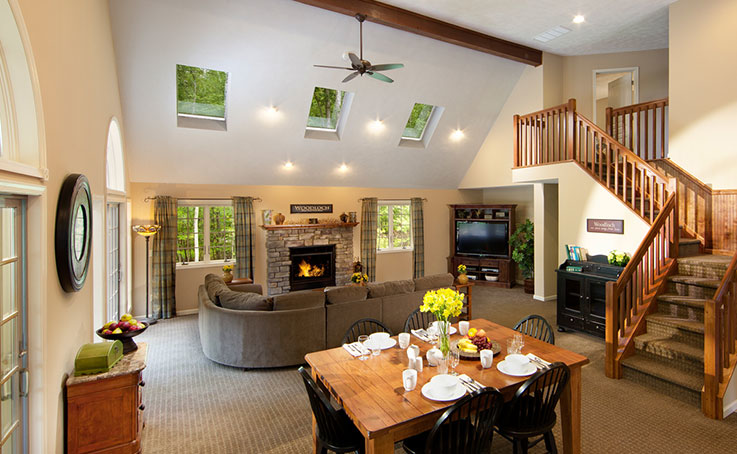 The Springs American 3 Meal Plan features an unlimited lunch, dinner, and breakfast per night's stay, spacious and immaculate accommodations located at Woodloch Springs, endless activities, astounding nightly entertainment, and daily housekeeping. Rates are per person and vary on number of occupants and accommodation type. Please note: Woodloch Springs is located approximately two miles away from Woodloch Pines, and will require use of your own vehicle to travel between properties. 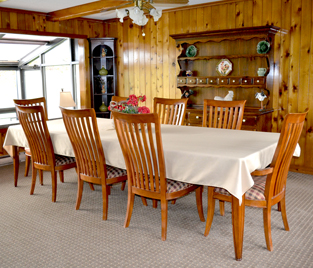 Available for a limited time and featuring a considerable savings, the Springs American 3 Meal Plan Special features an unlimited lunch, dinner, and breakfast per night's stay, spacious and immaculate accommodations located at Woodloch Springs, endless activities, astounding nightly entertainment, and daily housekeeping. 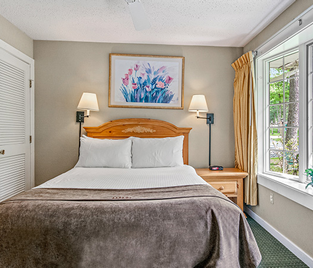 Rates are per person and vary on number of occupants and accommodation type. Please note: Woodloch Springs is located approximately two miles away from Woodloch Pines, and will require use of your own vehicle to travel between properties. Your inclusive package includes two meals daily, nightly entertainment, and endless activities and amenities. You will be assigned a Flexible room upon check-in, and your package will include two meals daily, nightly entertainment, and endless activities and amenities. Your inclusive package includes two meals daily, nightly entertainment, and endless activities and amenities. You are entitled to a 15% savings based on your three night stay. 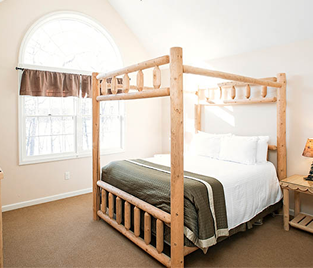 These rooms are warmly decorated with a country rustic charm and feature two queen beds in a bedroom area and two single day beds in a living room area separated by an accordion door. 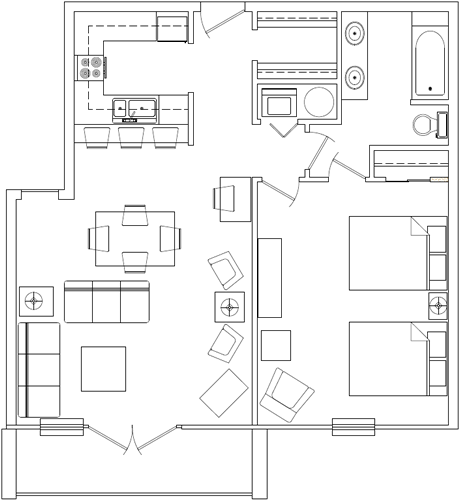 Rooms have two televisions and sleep to six. *Includes taxes, service fees and 2 Meal Plan (Excludes Lunch). 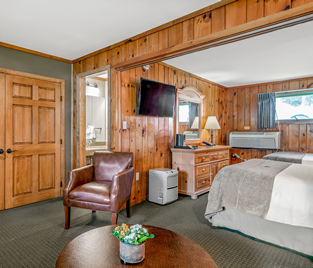 These hotel-style rooms feature two queen beds and a double pullout couch in one large room, complete with private balcony and view towards the lake. 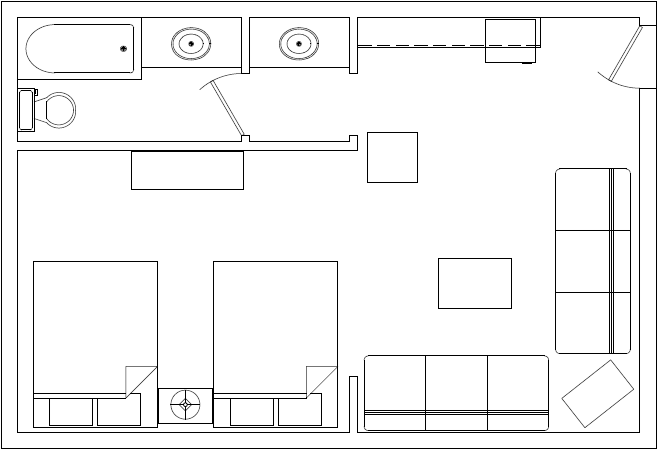 Rooms have one television and sleep up to six. Greenbriar features indoor access to the Main Dining Room and the Heritage Nightclub. 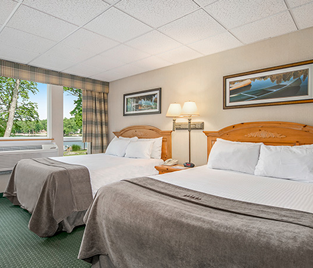 These hotel-style rooms feature two queen beds and a double pullout couch in one large room, complete with private balcony and view towards the lake. 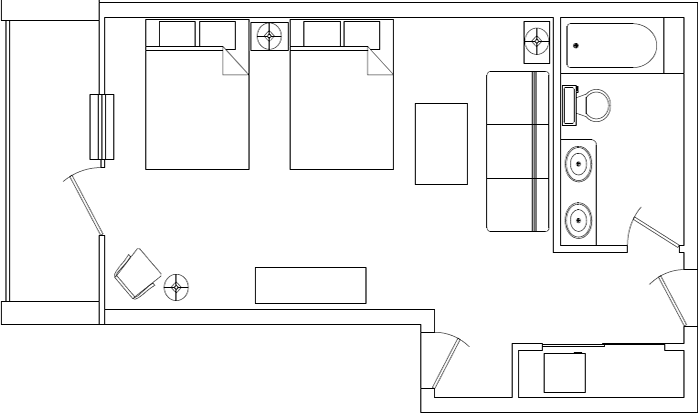 Rooms have one television and sleep up to six. 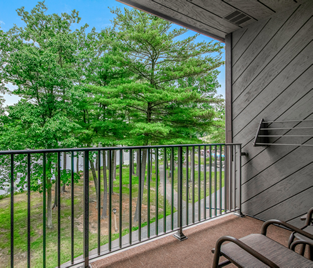 Mountain Laurel features indoor access to the Pool and Sports Complex. These one-bedroom suites feature two queen beds in the bedroom and one queen pullout couch in the living room, complete with private balcony and a view towards the lake. 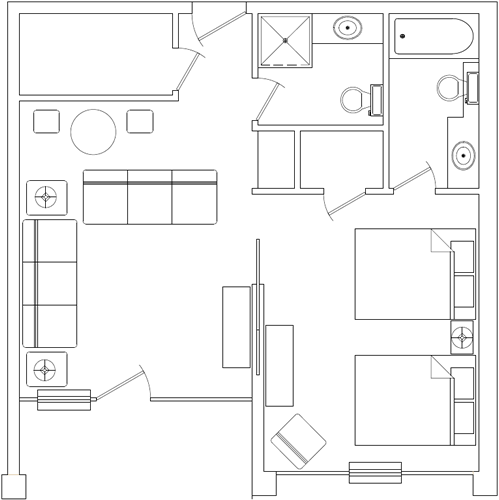 Rooms have two televisions and sleep up to six. 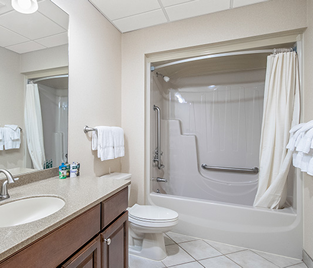 Mountain Laurel features one bath, kitchenette, washer, dryer and provides indoor access to the Pool and Sports Complex. These one-bedroom suites feature two queen beds in the bedroom and one queen pullout couch in the living room, complete with private balcony and a view towards the lake. Rooms have two televisions and sleep up to six. Springbrook features two full baths and provides indoor access to the Pool and Sports Complex. 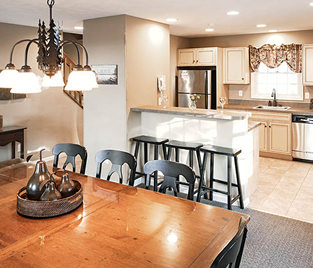 This Southwoods tri-level home features four bedrooms and four and a half baths and is located on the resort shuttle route. 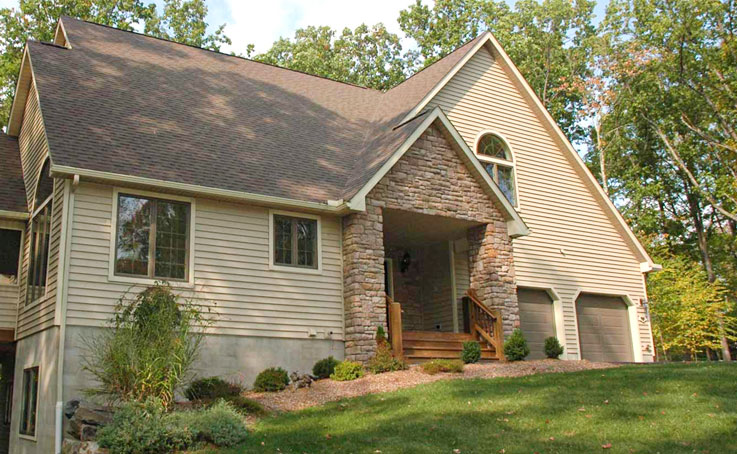 This home features cathedral ceilings, garage, a fireplace, and deck. Available with the American Plan only, with four adult minimum rates. 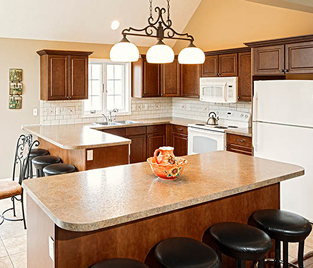 The Lake Estates are five bedroom and five and a half baths tri-level homes located on the resort shuttle route. 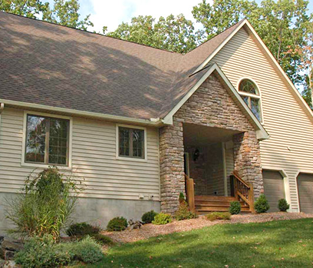 Each home features cathedral ceilings, garage, a gas fireplace, and deck. Available with American Plan only, with five adult minimum rates. 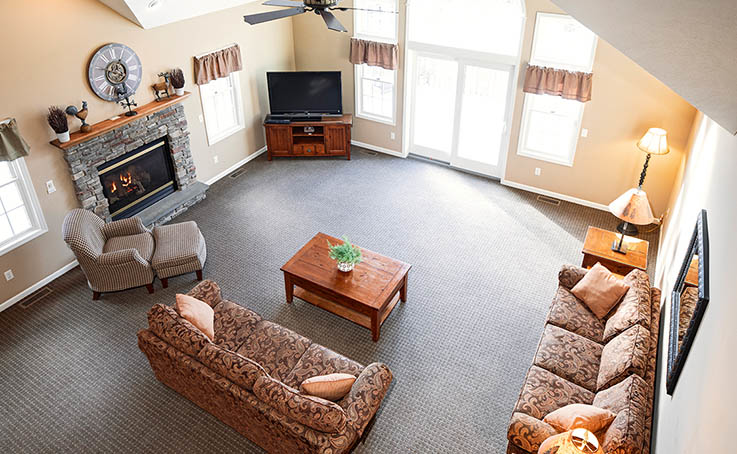 Due to the individual ownership of each Guest Home, certain amenities may vary, including but not limited to the number or style of specific beds, number of televisions or DVD/VHS players in each home, floor plans and layouts, etc. 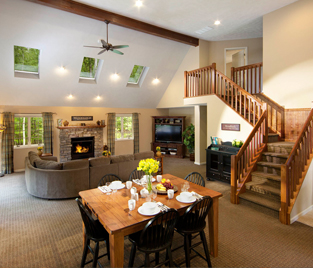 These Southwoods are six bedrooms and six and a half baths tri-level homes located on the resort shuttle route. 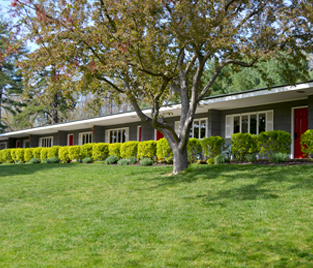 Each home features cathedral ceilings, garage, a fireplace, and deck. Available with the American Plan only, with five adult minimum rates. 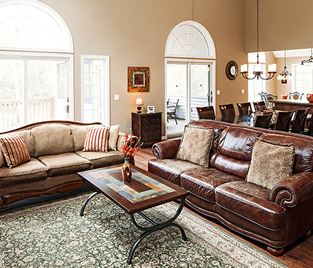 Due to the individual ownership of each Guest Home, certain amenities may vary, including but not limited to the number or style of specific beds, number of televisions or DVD/VHS players in each home, floor plans and layouts, etc. 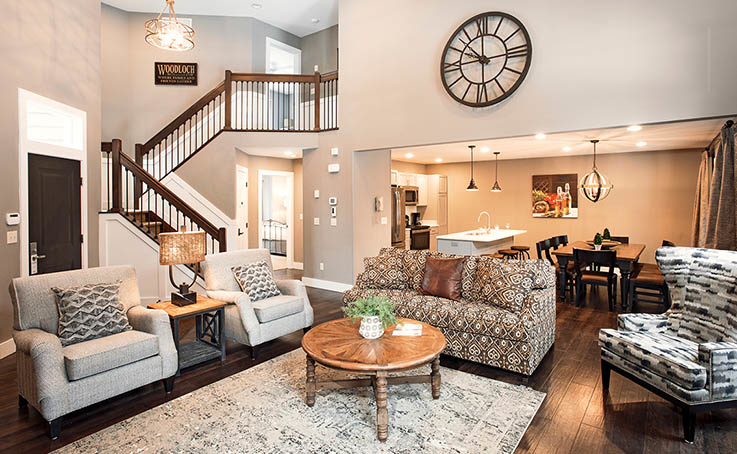 From an inviting courtyard entry to a spacious rear view deck, the Tallwoods guest homes feature spacious three bedroom, three and a half bath townhome-style accommodations. 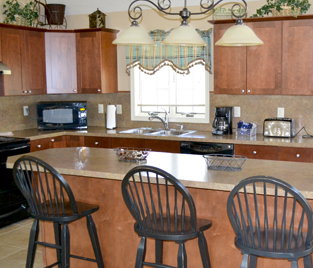 These homes feature two levels and are located on the main property and are on the resort shuttle route. 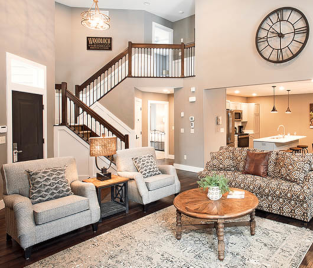 Due to the individual ownership of each Guest Home, certain amenities may vary, including but not limited to the number or style of specific beds, number of televisions or DVD players in each home, floor plans and layouts, etc. 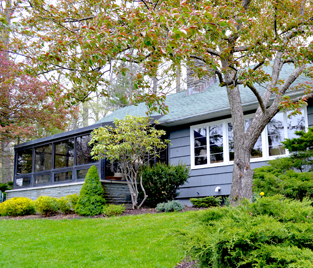 Once owned by one of the co-founders of the resort, this ranch-style home is located right in the middle of the Woodloch Pines campus. With three bedrooms and two bathrooms, this home also features a full kitchen, living/dining room, and a gas fireplace. Available with the American Plan only, with four adult minimum rates. This home features three bedrooms and two baths, one of which is handicapped accessible with a shower stall and toilet handles. 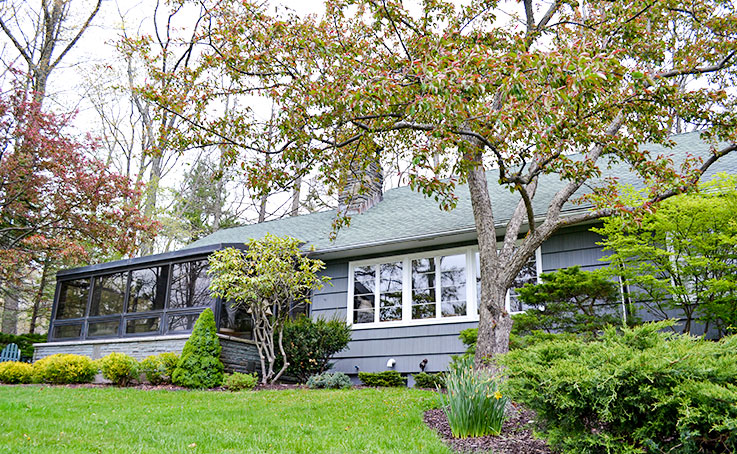 Centrally located on the Woodloch Pines campus, this home also has a gas fireplace and access to a small children’s playground. Available with the American Plan only, with three adult minimum rates. Your allotted time for booking your reservation has run out. If you wish to continue booking your reservation please click continue below. 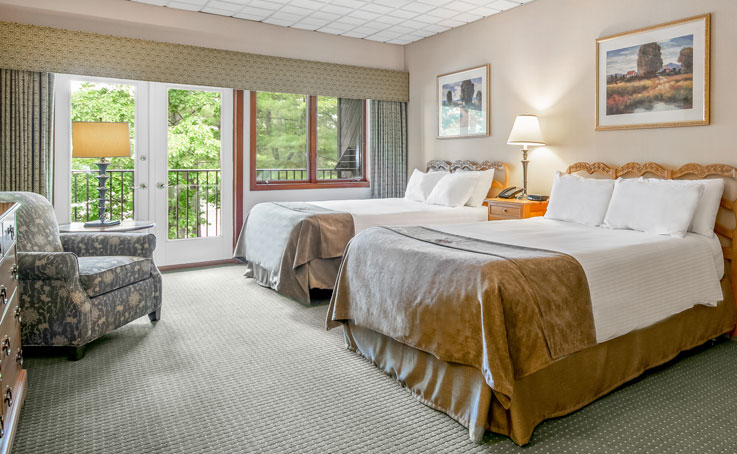 When creating an online account on our website, Woodloch collects the following personal information: your name, address, telephone number and e-mail address. Upon booking a reservation, credit card details and reservation preferences will also be collected. 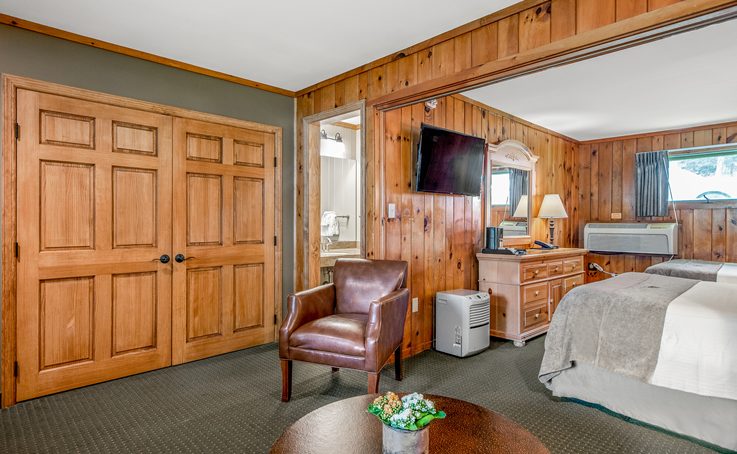 Woodloch may also capture data about your computing device such as IP address, browser type, and operating system in an attempt to allow the majority of our guests to have an enjoyable experience while using our site. This information is collected automatically and compiled to provide a snapshot of visitors to our site. Do we share this information with other companies? 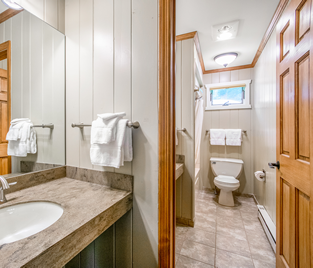 At Woodloch, we believe in protecting the privacy of all our guests. Therefore, we do not share guest information with outside agencies. 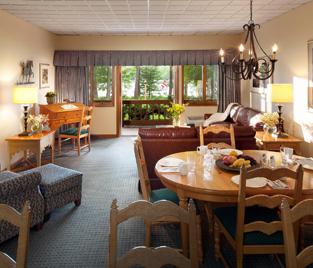 However, Woodloch will release guest information pursuant to any order issued by a court of competent jurisdiction. Control over your personal data. At any time, you can modify your personal profile using the Modify Profile link. You can also ask Woodloch to remove your personal data from its database by sending an email to room.reservations@woodloch.com. Online security is very important to us. 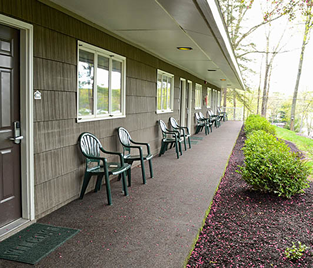 We employ a Secure Socket Layer (SSL) to help protect your privacy and ensure reliability for Woodloch. We use SSL for all bookings, so your personal information has the best possible protection available. Consent and changes to this Policy. 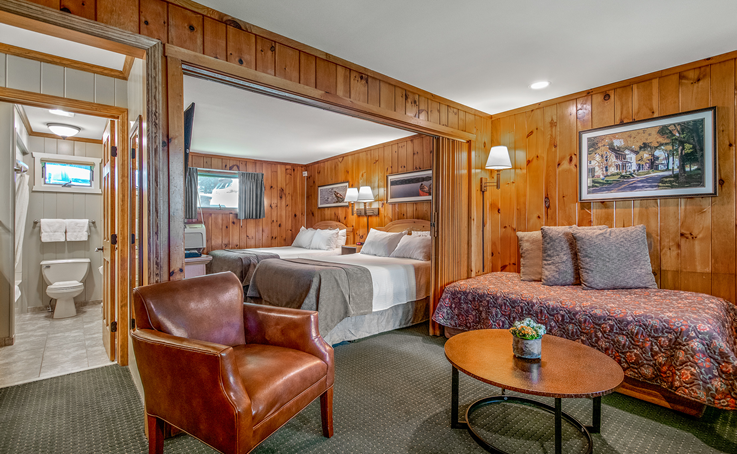 By using our website and our online booking service you are agreeing to be bound by the Terms & Conditions detailed below which form the basis of your contract with Woodloch. By making a booking, you are confirming that you are authorized to do so on behalf of all persons named in the booking and you are acknowledging that all members of your party agree to be bound by these Booking Terms & Conditions. You are also confirming that each accommodation being booked will be occupied by at least one adult age 21 or older. When your booking has been made, a confirmation will be sent to you by email using the email address you have supplied. You should retain a copy of this confirmation for your reference. You should carefully check the details of your confirmation as soon as you receive it. 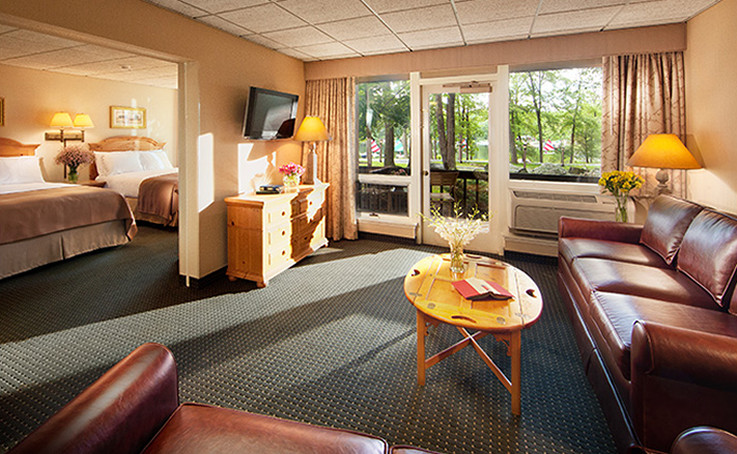 You must contact Woodloch immediately if any of the details are incorrect or incomplete. 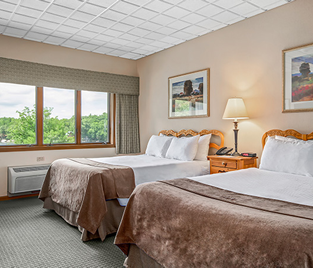 All bookings made via the Woodloch website must be guaranteed with a credit or debit card – Visa, Mastercard, American Express or Discover. A deposit of 50% of the room rate booking value will automatically be deducted from your credit or debit card at the time of booking. The balance of the account, including any extra costs incurred during your stay, must be made to the resort when you checkout. Cash, checks, credit or debit cards are welcome in settlement of your resort account. As a measure of fraud prevention, you will be required to enter the Card Verification Value (CVV) printed on your credit or debit card when making a booking online. Unless stated as part of your booking, additional items, such as the cost of external telephone calls, meals, drinks and travel expenses, are not included in the price of your stay. If you incur any such additional costs, you must settle the balance of these items prior to your departure from the resort. 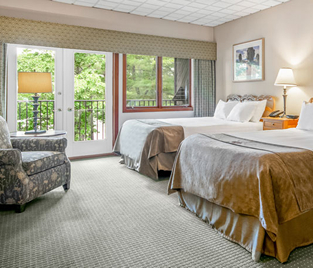 Woodloch reserves the right to increase or decrease the price of unsold rooms at any time. With the exception of any errors, we will not increase the price of your confirmed booking. We reserve the right to correct any errors in advertised or confirmed prices and will do so as soon as we become aware of such an error. We will notify you of any price discrepancies relating to your booking should they arise, but we strongly advise you to verify the final total booking price before making your final confirmation. All additional or special requests are subject to availability and we cannot guarantee the provision for special requests. Any additional requests should be made prior to your arrival at the resort, giving reasonable advance notice. If you or any member of your party has a medical problem or disability which may affect your stay, please call Reservations to advise us so we can make provision for the particular needs of the person(s) concerned, or advise you if we are unable to make such provision. We cannot accept responsibility for unforeseen circumstances beyond our control. These include (but are not limited to) adverse weather conditions, fire, riot, war, terrorist activity (or threat of such activity), industrial dispute, natural disaster, or injuries and death of an individual(s) through accidental circumstances unconnected with the resort. By making a booking you are accepting responsibility for any damage or loss caused by yourself or a member of your party. Full payment for any such damage or loss must be paid to the resort owner or manager on demand. If you fail to do so, you will be responsible for meeting any claims subsequently made (together with our own and the other party’s full legal costs) as a result of your actions. If you are dissatisfied with any aspect of your stay, you should bring the problem or issue to the attention of the manager on duty at the resort as soon as possible so that all reasonable efforts can be made to rectify the situation. Any complaints arising out of your stay at the resort that are not brought to the attention of the resort during your stay are unlikely to receive the same level of attention if made retrospectively. All copyright and other intellectual property rights in all text, images, sounds and other materials on this site are property of Woodloch. No reproduction of any part of this site may be sold or distributed for commercial gain or modified or incorporated into any other work, publication or site. All names, logos, trademarks, service marks, trade dress and trade names are proprietary to Woodloch and may not be used by anyone for any purpose without our prior express written consent. Framing or utilized framing techniques of the above or other proprietary information is also prohibited without written consent. We consider our trademarks to be valuable assets, and take infringement of them seriously. It is illegal to use any spy wares, robot, spider or other automatic device, or manual process to track or copy the site or the contents or information without our prior express written consent, apart from the recognized major search engines such as Google & Yahoo MSN. 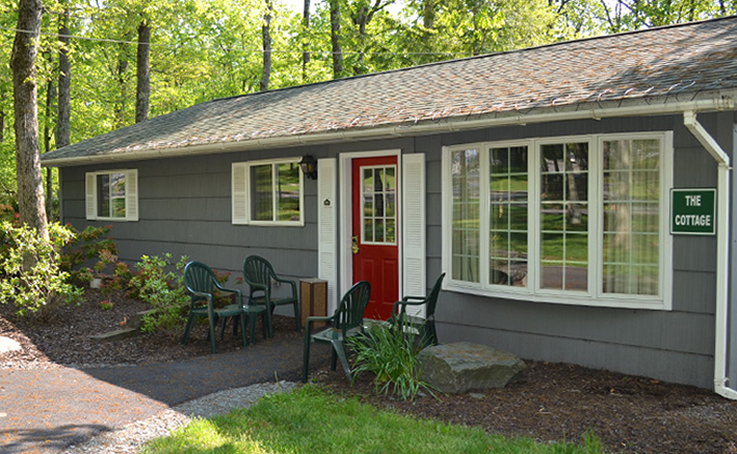 The use of any such material from Woodloch website on any other Web, Internet, intranet, extranet, other site or computer environment is strictly prohibited. We encourage you to pack a separate bag and arrive early to enjoy the facilities and activities. 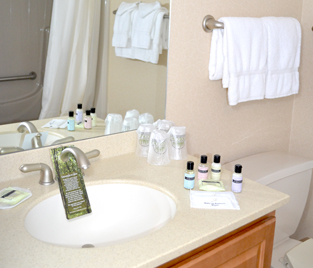 To ensure our housekeeping standards are maintained, your accommodations will be ready no later than 5:00 PM, or 6:00 PM on Sundays or holidays. Check-out time is 11:00 AM for Woodloch Pines and 11:00 AM for Woodloch Springs unless otherwise specified. Due to safety concerns, hoverboards are not permitted on any Woodloch properties. Your deposit is refundable upon receipt of cancellation thirty (30) days prior to your arrival date, less a $25 administrative fee. If your cancellation is received less than thirty days in advance, we will hold your deposit for a future reservation, which must be made within two years. Cancellation with less than five (5) days notice will result in forfeiture of deposit. Please be prepared to present a CREDIT CARD at check-in, as the use of a DEBIT CARD will place a hold on your bank funds (the length of the hold varies based on your financial institution's policies). DEBIT CARD payments can be accepted for deposits on your account and at check-out only. 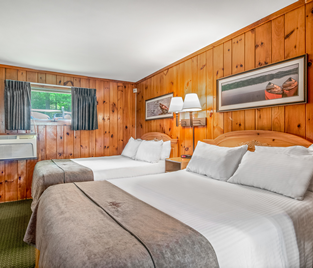 Woodloch Gift Certificates are valid only at Woodloch Pines Resort and Woodloch Springs, not valid at the Lodge at Woodloch or The Boat House Restaurant. Gift Certificate must be presented at time of use and must be used in its entirety, no change will be given. Gift certificates are not redeemable for cash and cannot be returned for a cash refund. Woodloch reserves the right to immediately invalidate gift certificates, without notice, should it receive a credit card chargeback, returned check or other form of repudiated payment made towards the gift certificate.